Have you ever just wanted the most amazing recipe that takes minimal ingredients, very little time and comes out with the most incredible flavor you can imagine? Well, this is your recipe. 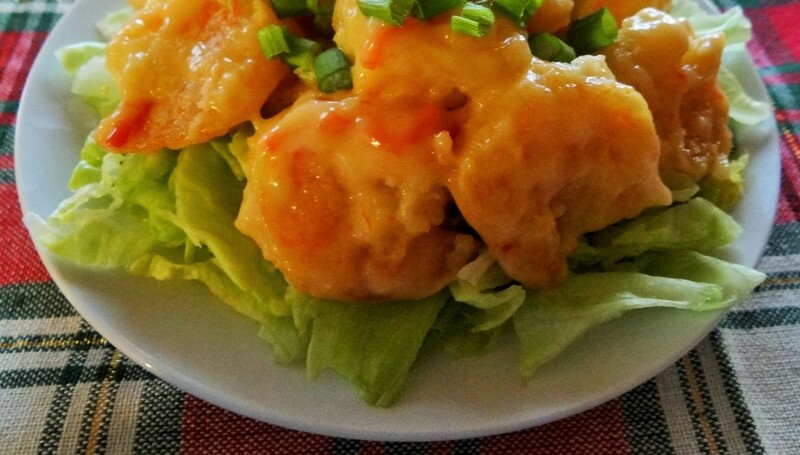 I am sharing this recipe for Bang Bang Shrimp with you. It is a recipe that is served in several high end seafood restaurants. But, it is not that complicated of a recipe. That is why I am so excited to share it with you. There are only six ingredients for this flavorful recipe. It does not take a lot of time because shrimp cooks very quickly. And the sauce ingredients finish the dish with bold flavors. 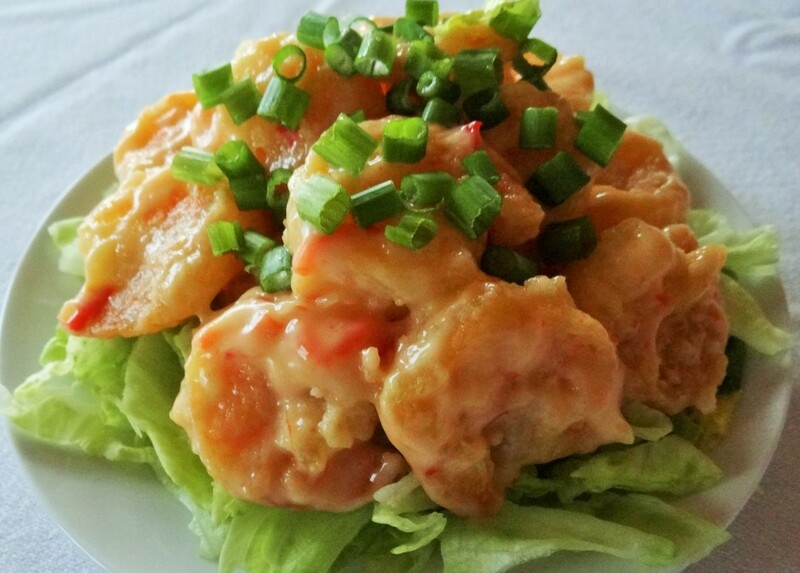 So, coming to you, from Dianna, on the ninth day of appetizers…Bang Bang Shrimp! Enjoy this special gift! Rinse shrimp in cool water. Drain and lay out on paper towel lined plate. Pat dry with paper towels. Heat a frying pan on medium high heat. Add shrimp and cook for 3 minutes until golden brown. Turn and cook for 3 more minutes on other side. Remove from pan and drain on paper towel lined plate. Repeat with remainder of shrimp, using other 2 tablespoons of oil to cook. In a large bowl, mix together mayonnaise and Thai sweet chili sauce. Mix in cooked shrimp. Place sliced lettuce on a serving plate. Place shrimp on lettuce and garnish with sliced green onion.